The global new-vehicle market is moving toward crossover utility vehicles and SUVs, along with vehicles that look like them. 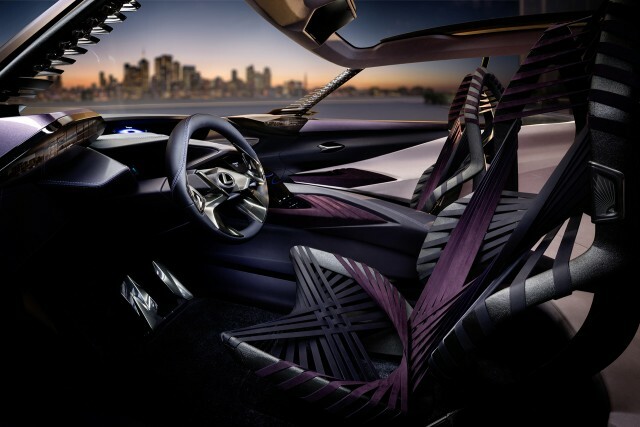 Now the production version of another crossover, shown in concept form more than a year ago, will launch at the Geneva auto show—and Lexus has released one photo and a video that show the European version of the UX. 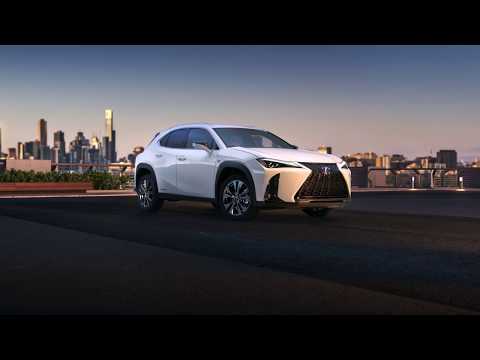 The Lexus UX will be smaller than the current NX compact and RX mid-size crossover utilities now on sale in the U.S.
DON'T MISS: Lexus UX small crossover utility still being studied for U.S.
Based on the same underpinnings as the Toyota C-HR (nee Scion), it continues the distinctive, aggressive, and somewhat polarizing styling of larger Lexus models. Its role, especially in Europe, is to attract new and younger buyers to Toyota's luxury brand, which is now known for its hybrids but has a somewhat stodgy image. Whether it will come to the U.S. remains unclear, but it seems quite likely. 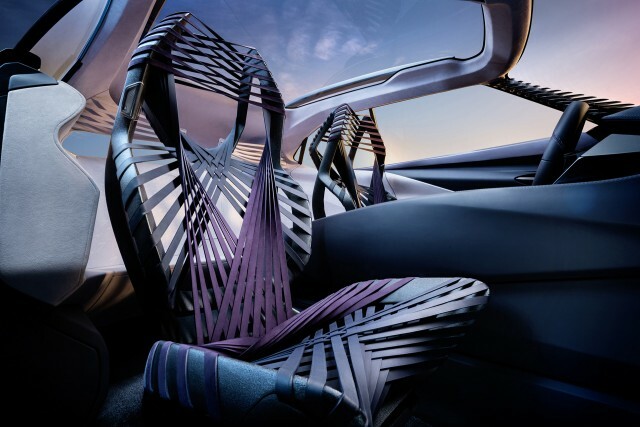 EDITOR'S NOTE: This article was originally published on February 21, 2018, when Lexus released a teaser photo of the UX; it has been updated with more details as they became available. 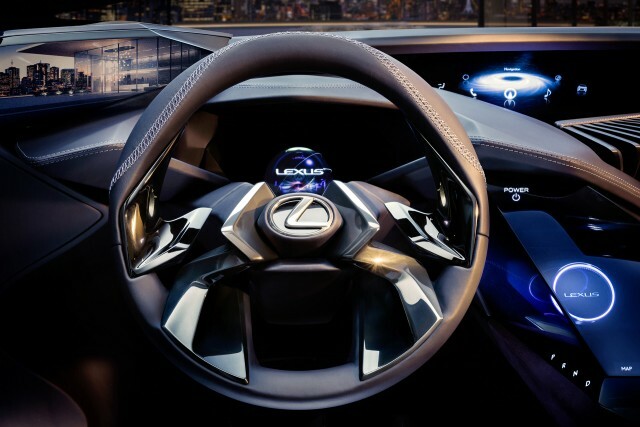 Last December, industry trade journal Ward's Auto reported that Lexus executives had said they were "still studying" the UX to determine if its small size and capabilities would be a fit for their lineup. 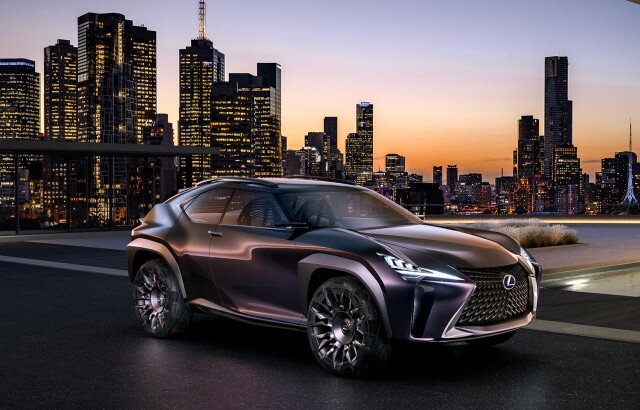 If it does arrive in North America, the Lexus UX would compete with the Audi Q3, BMW X1, Lincoln MKC and Mercedes-Benz GLA. There will also soon be a new, smaller Cadillac XT4 joining the segment as well. None of the entries thus far is offered as a hybrid, let alone with a plug, though a plug-in hybrid XT4 was photographed testing a year ago. That version of the small Cadillac is likely aimed at the Chinese market, where aggressive new regulations on sales of plug-in electric cars will come into force next year. 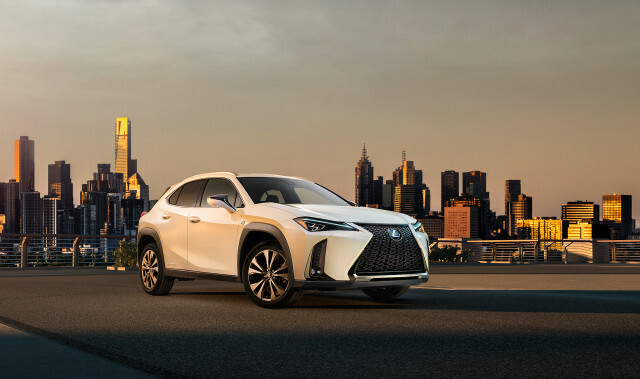 Still, Lexus has filed to protect the “UX 250” and “UX 250h” names with the U.S. Patent and Trademark Office—meaning it's seriously considered two versions of the small crossover, one a regular gasoline model and the other a hybrid. The Toyota C-HR on which the Lexus UX will be based offers a hybrid model in Europe, along with all-wheel drive, but neither is available on U.S.-market C-HRs. The previous entry model in the U.S. Lexus lineup was the aging Lexus CT 200h hybrid hatchback. Sales of that vehicle were discontinued after the 2017 model year. For all the latest about green-car concepts and production models on display in Switzerland, see our Geneva auto-show news page.